You must always ask how to lower your Navient student loan payment. 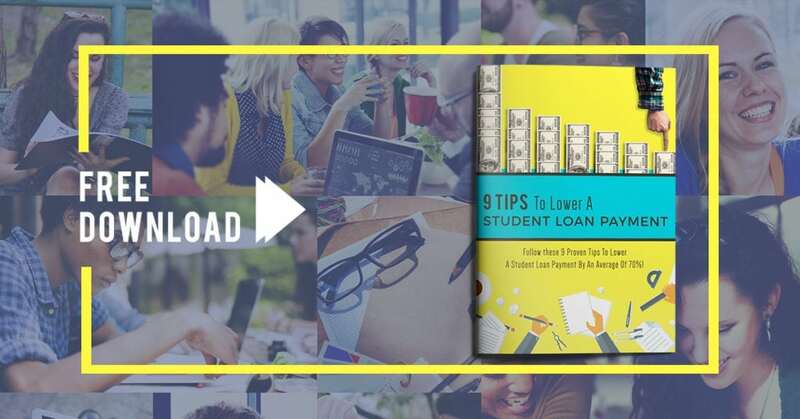 No matter how much you owe, there are ways to help you manage the monthly payments and overall interest of your Navient student loan. Although private student loans help borrowers a lot, they can be difficult to repay. Here’s what you need to know to help you lower your Navient loans. It was formed in 2014 when Sallie Mae broke into two distinct entities. Navient took on the managing of educational loans. Sallie Mae then started handling personal financing. Navient is among the leading players in the student loan scene. It has been managing the most student loans of any company. 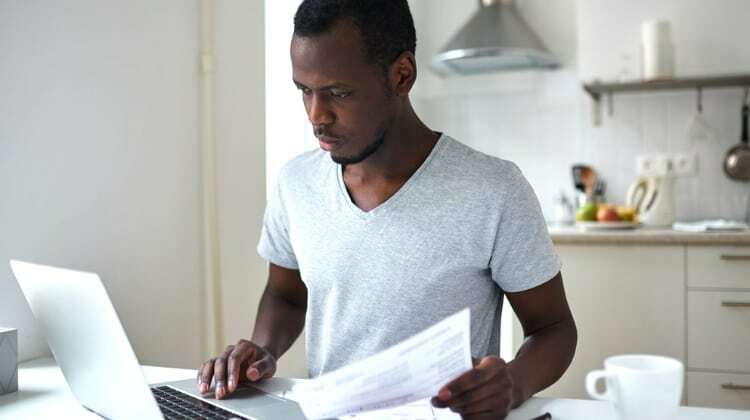 Here’s a comprehensive guide on Sallie Mae Navient terms and conditions. There were a few issues which swirled around Navient since it started. Plenty of federal student loan borrowers had difficulties with the corporation. This kind of problem with shifting from federal loans to private loans is common. Navient has had more than its fair share of disgruntled customers. 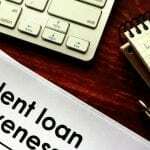 In fact, on January 18, the Consumer Financial Protection Bureau (CFPB) filed a class action lawsuit against Navient for knowingly defrauding millions of student loan borrowers. You can read more about Navient’s class action lawsuit here. If you’re struggling with Navient, you are definitely not alone. Struggling to make payments? You are by no means the only one. Refund issues are a relatively common occurrence. 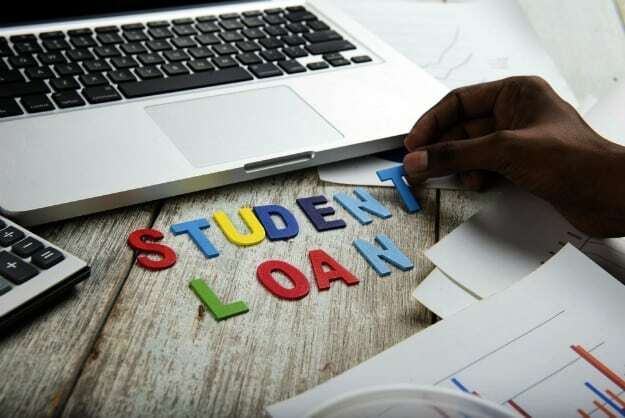 According to the WallStreet Journal, a staggering 43% of student loan recipients are behind in their federal loan repayments. In the last financial year, an astonishing 1.1 million Americans defaulted on federal loans. Our friends at Student Loan Hero recently came out with a report that noted student loan debt is north of $1.44 trillion. The overall debt numbers are terrifying. To put it in perspective: you can treat every American with heart disease or diabetes, immunize every child in the world, and double the amount of money spent on cancer research, and you will have only spent half the money. It’s pretty remarkable. In their report, SLH noted the average student debt per graduate stood at $31,200. The important thing to remember is a lot of people, 44.2 million to be exact, were or are still in the same boat. They’ve got a lot of student debt, and a lot of them are unsure of how they are going to repay it. Unfortunately, loan forgiveness with private loans is not possible. Since they are a private company, the federal government cannot do anything about it. It’s a difficult thing to hear but when you are struggling to make your payments, the worst thing you can do is miss one. Late charges can quickly add up. Not to mention the interest on those late charges will rapidly add to the overall cost of your loan. And they are not the only negative impact–your student loans are an installment loan that reports to the three credit agencies: Experian, Equifax, and TransUnion. Missing a payment will result in a lower credit score. According to National Credit Federation, there are several ways student loans affect your credit score. If you’re about to miss a payment or you already have, it’s a great article to help you navigate through that. Many student loans are regarded as a series of loans, with each disbursement of funds considered as a separate loan. Miss a monthly payment and you are not missing a repayment on one loan, you’re missing one on several. You can have money withheld from your paycheck. Credit collection agencies may send threats your way. In the worst case scenario, you may find yourself brought to court. Most people don’t get taken to trial, but it’s important to be aware your lenders have that option at their disposal. According to the Department of Education, your student loan is a legal contract, and you are contractually obliged to make the repayments. Even if the worst case scenarios don’t occur, you’ll still struggle to get any more help further down the line. Further aid, deferment, or forbearance will be off the table. It’s crucial to act early to give yourself the opportunity to use these options at a later date if it becomes necessary to do so. In essence, once you start missing payments, it’s a downward spiral. If your monthly payments are too large, what you need to do is bring it down to something more manageable. We need to turn those debt repayments into something doable. Let’s look at how you can take control of the situation. Strategies are available for those who need to bring their monthly payments down. It’s worth taking the time to do your research and see which one will be the best fit for you. It can reap dividends in the long run if you get the best plan possible. Navient does offer some different repayment options, from traditional types to income-based strategies. Check out the infographic below for more information on Navient’s repayment plans. A Standard Repayment Plan is, as the name suggests, the standard. It is simply a regular monthly repayment of a minimum of $50 up to ten years. In the long run, this works out cheapest as you’re paying the least interest. But, the payments may be high as this is the repayment with the shortest term. An Extended Repayment Plan gives you the option of repaying your loan over a longer timeframe. Loans can be repaid over a period of 25 years. This is an option for those students whose debts exceed $30,000. This has the advantage of lower monthly payments as the loan is repaid in more months. But, the downside is you will, over the lifetime of the loan, pay far more in interest. 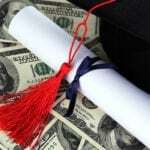 Graduated Repayment Plans are those which take into account the likelihood of your financial situation improving after you graduate and move forward in your career. Payments start low and increase every two years. The main drawback here is you will end up paying more in interest over the lifetime of the loan. Income-based repayment adjusts your payments to your income. These are good options for people whose debt is quite large in relation to their income. Pay as you earn repayment plans often come with the cheapest monthly repayment rates. Repayments are calculated as 10% of your discretionary income. To qualify for such a plan, you need to show the monthly amount you’d have to pay under a standard repayment plan is higher than the amount under pay as you earn. Revised pay as you earn is similar to pay as you earn in the calculation of your repayments. But, it has the bonus of only paying 50% of the interest which accrues over the life of the loan. Given that these loan periods are typically 20-25 years, this is a considerable saving. Income-based repayment plans, like pay as you earn, take your income into consideration. They also look at the size of your family and your state of residence. With Navient, these repayment plans are also available for FFELP loans. This is the only income-based repayment plan for which this type of loan is eligible. Income-contingent repayment is for graduates who are less likely to have relatively well-paying jobs. These are the people who are intent on entering public service where there is a limit to how much you can earn. Typically, they have slightly higher payments than income-based plans. But they enjoy fixed interest rates. When you’re talking about a 25-year repayment period, this becomes very beneficial. There are pros and cons to all income-based savings plans. They generally offer affordable repayments. Their lengthy terms, though, mean the total interest paid may be higher. You have to check your eligibility because not all plans are available to all people. They do offer the option of loan forgiveness after 20 years of payments. Keep in mind that any forgiven loan amount can be regarded as taxable income. One important aspect of income-based plans is the flexibility. You do always have the option of making extra repayments without penalties. So if you’re having a good month, why not chip a little extra off the student loans? A consolidation loan is an option for those who have multiple student loans. It gives you the opportunity to combine these multiple debts into one single loan. This strategy has some strong pros. Certainly, the simplicity of it is appealing. Rather than trying to track various payments, you only need to worry about one. Repayment periods of up to 30 years can bring the monthly cost down a great deal. Yet, don’t forget, the more repayments mean more interest though. You may also lose benefits on your original loans, such as interest discounts or cancellation benefits. Refinancing may also be an option. There may be a provider out there willing to take your loan at a lower interest rate than you’re currently paying. It never hurts to ask. There are a variety of loan providers out there; you may not be with the best one. So, don’t be afraid to shop around a little bit. Check if automating your payments is an option for you. Automation often goes hand in hand with a reduction in interest rates. An added bonus is it takes the matter out of your hands. Set up an auto-payment and only leave it alone, but only if it’s at a repayment rate you know you can afford. Forbearance and deferment. Forbearance or deferment may be an option when you just cannot catch up with your payments. Unfortunately, this does not actually lower your payments. It merely postpones them. Interest still accrues in the case of forbearance. Plus, application for forbearance or deferment is dependent on your agreement with Navient. Student loan debt can seem like an insurmountable burden. If you are wondering how to lower your Navient student loan payment, it can feel as though there is no way out. Nonetheless, it’s important to remember there are many options available, not just for Navient, but all student loan servicers. If you want to give this company a shot, review all the terms and conditions before signing up for a plan. Here’s the Navient student loan login page to get you started on how to lower your Navient student loan payment. You’re not alone in this, and there’s a lot you can do to take control. The main thing is to plan ahead and do your research. There are a lot of plans out there, and all have their benefits and drawbacks. Sit down and work out what’s right for you. If you’re looking for other options, you may want to check out Nelnet student loans as well. Do you have any other tips for lowering Navient student loan payment? Let us know in the comments below! ……I have seen WAY too many of these type of articles that are relevant to federal stufent loan borrowers…..BUT WHAT ABOUT PRIVATE STUDENT LOAN BORROWERS?? No one never talk about these types of loans! There seems to be a lot more information about federal student loans compared to private. Federal loans have been in the public eye a lot recently. This may be because they have surpassed the $1 Trillion mark! That’s an INSANE amount of debt! I would like to learn how to decrease my students loans. If you’d like some help figuring out the options available to you for your student loans please give us a call at 877.433.7501. One of our senior student loan consultants will be able to go through your loans with you and see how you can achieve a lower payment. Good luck and we hope to hear from you soon!